We run both Adult and Youth taster sessions for members and non-members. 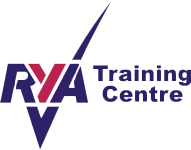 These are generally under the guidance of an instructor and are designed to give you an introduction to sailing. During the session you will have the opportunity to practise basic sailing skills. Our most popular tasters are Dinghy based but we also run Keelboat (sail and keep your feet dry! ), Catamaran and Windsurfer sessions. You can view the programme and book any sessions here.